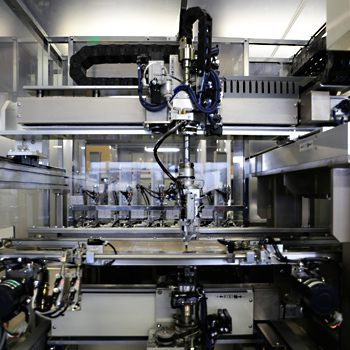 Development of our products has centered around the process of inserting components of varying sizes into printed circuit boards. 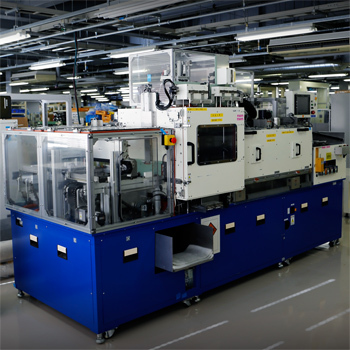 In particular, our odd-form component inserters and low- and high-temperature testers have earned us great acclaim in the factory automation industry. The heart of our low- and high- temperature testers. 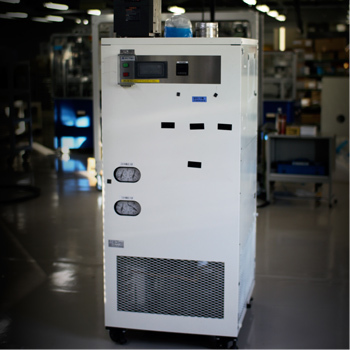 Using a proprietary dual-compression system instead of liquid nitrogen, our patent-pending cooling systems are economical, precise, and can be operated continuously. For low- and high-temperature testing of electronic automobile components and integrated circuit boards. The tester can be used for in-line operation for up to a week of continuous operation at a temperature of -40°C. When sealed airtight, it can run continuously for a month. For inserting different sized components, such as semiconductors, condensers, and resistors, into a single printed circuit board (PCB). 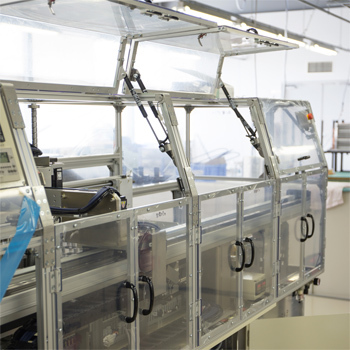 Our patented XYθ3 is a robot that rotates PCBs. 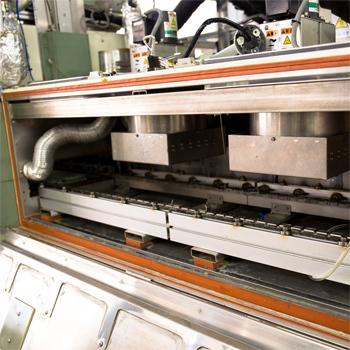 Our inserters are used in the production of electronic automobile devices and electronic gaming. For application of moisture-proof coating to equipment such as electronic automobile components, power generators, and air conditioners. Provide us with your coating specifications and a test piece to see a sample of our work, or visit our plant for a live demonstration. For bringing materials to desired temperatures and/or temperature maintenance for specified amounts of time. These devices are found in applications such aslow- and high-temperature testing, drying of moisture-proof coating, and hardening of pottery as kilns. Available in elevator, turntable, flat, and shoe-rack types. 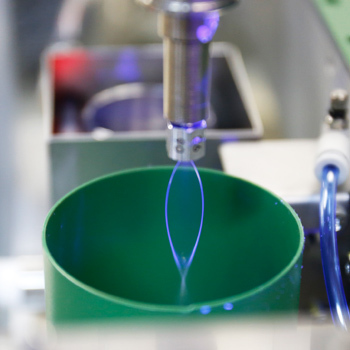 We also develop machines for soldering (flow, iron, and laser types) welding, pottery, assembly, image analysis, segmentation of printed circuit boards, handling of integrated circuits, and all kinds of testing.